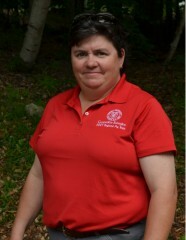 Dr. Kitty O'Neil serves Northern New York agriculture as a Regional Field Crops and Soils Specialist and is Team Leader of the Northern New York Regional Ag Team. Her work focuses on providing field crop producers,consultants, and industry representatives with theknowledge and educational resources necessary to improve crop production and management practices.She helps farmers implement changes to enhance farm prosperity and resilience, while minimizing environmental impacts. Her overall goal is sustainable growth of ag industries in Northern New York. Kitty is also a member of the Cornell Climate Smart Farming Extension Team because her goals of improving productivity and resilience of North Country farms requires smart crop management and a keen understanding of climate-related risks to crop production and long-term soil health. Kitty grew up on a successful family dairy farm in Cayuga County, New York and went on to receive a B.S. in Animal Science from Cornell University, her M.S. in Animal Nutrition and Plant Biochemistry from Michigan State University (MSU), and her Ph.D. in Sustainable Plant and Soil Cropping Systems from MSU. Kittyis also a Certified Crop Adviser. Prior to working with Cooperative Extension, Dr. O'Neil spent several years working at MSU researching potato cropping systems, studying impacts of crop rotations, soil amendments, and cover crops on soil health and biophysics on potato farms.